Just remember who veered off on this track!! Paul, you must learn to sew your shirt buttons back on when they fall off. 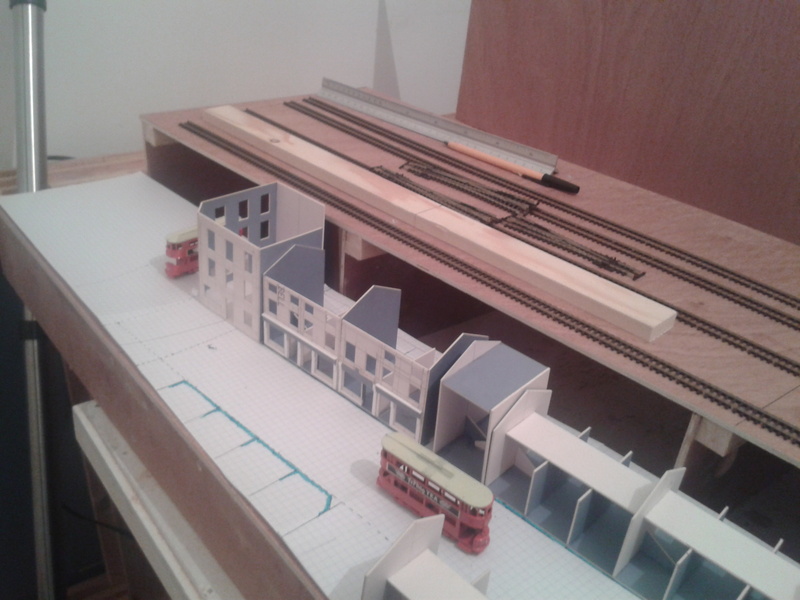 Well because I am such a good boy (the Domestic overlords words not mine) I was allowed a little time to spend on the new layout, so I turned some of my mad imaginings of N gauge urban sprawl into reality. The majority of the carcases have been built, but there are still a few to go, and this is only board 1.....Help all those windows and doors. That looks really good, Paul. Well done. 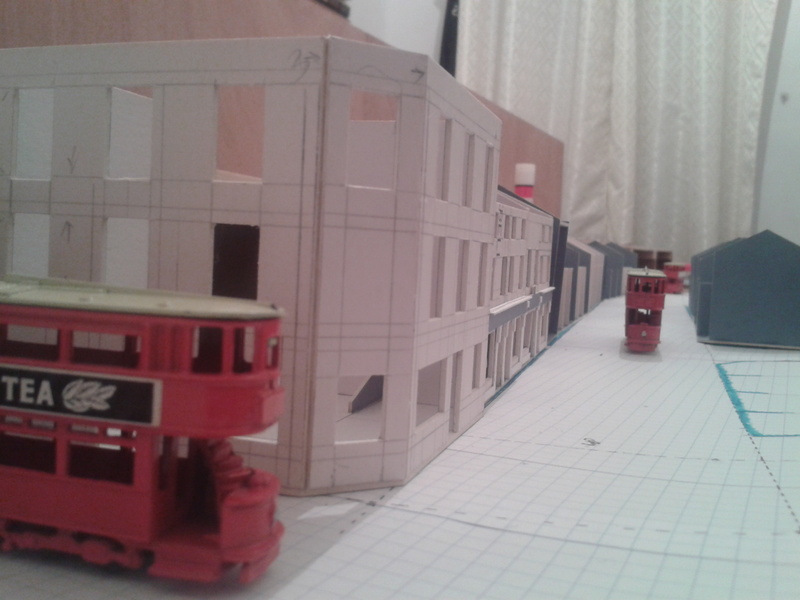 A little more progress has been made on the buildings that will form the street scene running along the front of the layout. I think I'm beginning to enjoy working with card again, so the plasti-card will have to stay in the cupboard for a little while longer. 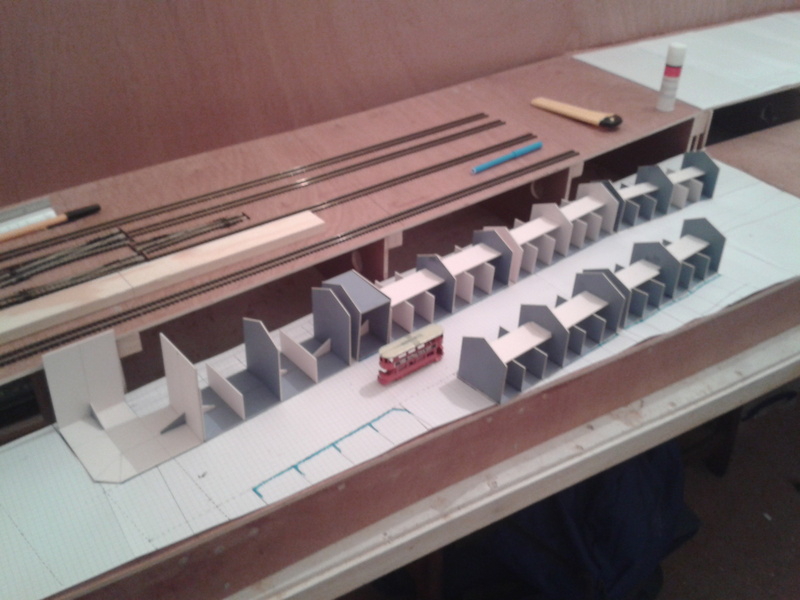 Every layout should have a least one Pub on it, and this is the progress so far on Lugsdale Road's first one. Still a lot of work to be completed on the model, but its getting there, but I think I have to do a little more research ideally from the inside of some Pubs just to make sure I get all the details correct. 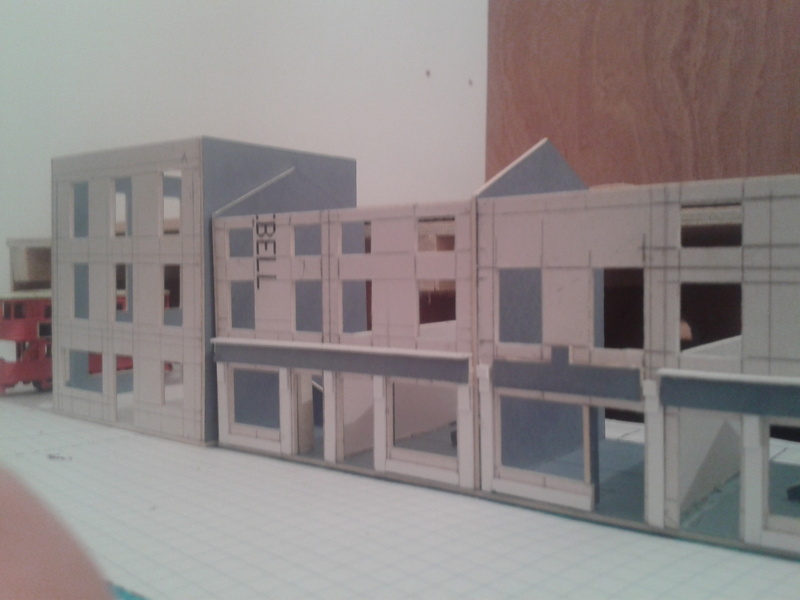 As the plan is to show the progression along the street from commercial buildings to terraced houses, I thought it would be a good idea to make a start, so this is the progress so far. I'm trying to get a balanced look to the scene, as I need to capture the urban feel, without just producing identical buildings but also trying to avoid too many unusual building and ruining the overall feel. So far the front of bard 1 looks like this. You're looking for a bit of variety but similar feel to the buildings and I can see you're happy scratch building but would Scalescenes high street be of any use, even if just inspiration? 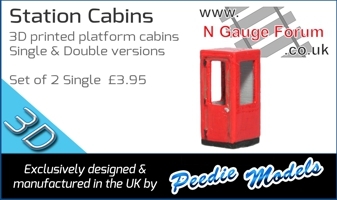 the kit is low relief but a set of backs is available to make them full relief, or you could use just the shop fronts building your own structure behind? That's looking good, Paul, especially as the street runs at an angle to the baseboard edge. that is precisely not what I meant! I should be doing as you are, mocking up entire streets and then complete the buildings, but I keep just finishing the building before moving on which is probably going to make more work for myself!